You may not have heard or seen any press about Making Tax Digital (MTD) so Sinden Thackeray Partnership want to make you aware of a big change coming to the UK tax system. HM Revenue & Customs are always trying to make the tax process for self-employed individuals and businesses as seamless as possible and with us now living in an advanced digital age, which we have never experienced before, they are working hard to ensure the tax system is a fast, interactive and digital tool that will benefit you as much as them. ​As you may or may not already know, the PAYE system is now reported to HMRC on a Real Time Information basis. This means that HMRC are reported to as and when people are paid, so they know immediately how much an employee has received, how much tax was due and how much an employer has paid on their behalf. To further the digital tax system to the next step, is to bring the tax affairs of certain individuals and businesses in line with this. 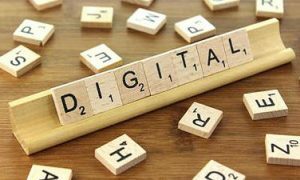 The submissions HMRC require need to be from digital records and submitted in a digital format. This reform is not just that quarterly submissions will be required, along with an annual adjustment submission, but it also affects how you keep your business records. To comply with the digital bookkeeping requirement, HMRC will no longer accept manual ledgers or spreadsheets. Sinden Thackeray Partnership are working with their clients to offer the best options moving forward to ensure that they will be HMRC compliant, have the easiest transition into regular digital bookkeeping and minimise the cost impact on clients and their business as much as possible. ​Please contact us if you would like to know how you or your business will be affected.